Tendon strains are very common. They occur frequently throughout the body, and limit your ability to do what you want. 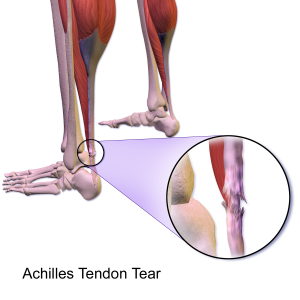 Achilles tendonitis and patellar tendonitis injuries cause pain with walking, running and being on your feet. Biceps tendonitis causes pain with sleeping, reaching and lifting overhead as does rotator cuff tendonitis.